This Apple Cherry Jam Cookies recipe is sponsored on behalf of #AppleWeek. Our generous sponsors, Swiss Diamond, Envy Apples, Imperial Sugar, Nordic Ware, Rodelle Vanilla, Flahavan’s Irish Oatmeal, Nairn’s and The Spice House have provided us with products for recipe creation and a giveaway for our readers. All opinions are my own. 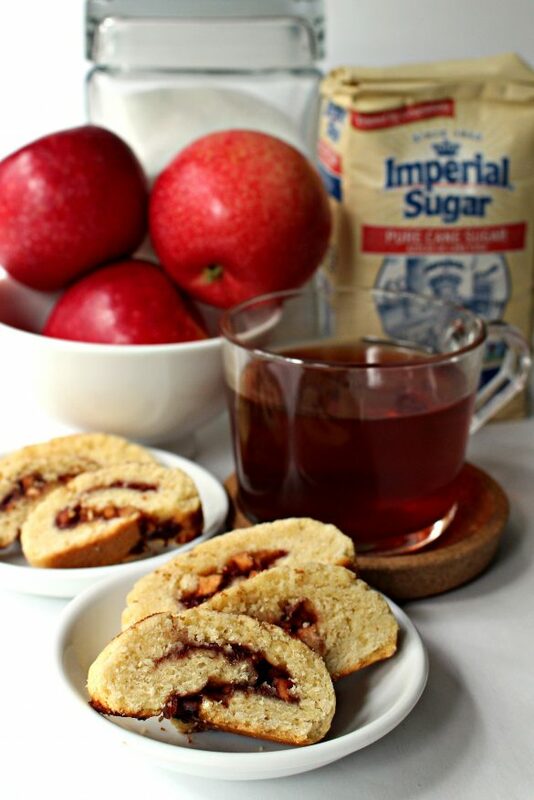 Apple Cherry Jam Cookies are made with tender sugar cookie dough rolled up with a fruity jam center and topped with a sprinkle of cinnamon sugar. 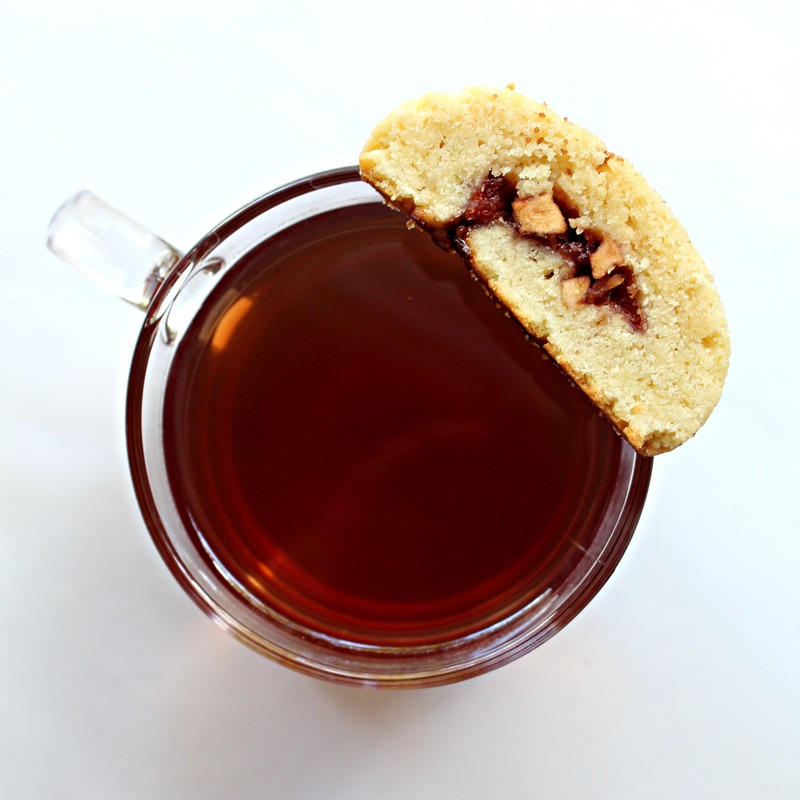 These cookies are easy to customize using your favorite dried fruits and jams! Dried fruits and jams make it possible to enjoy fruity flavors any time of year. They also make it possible to add fruit to care package baking. Though apples are wonderfully in season right now, Apple Cherry Jam Cookies are made with chewy bits of dried apple to make the cookies care package friendly. The cherry in these cookies is in the form of jam. My cherry jam is special because it was a gift. It is Michigan tart cherry preserves that was so kindly hand delivered to me along with the lovely cherry tea you see in the photos. I was in Chicago recently to assist my son, Noah, and his girlfriend, Courtney, when they moved into their new home. Happily, Courtney’s mom was also in Chicago to help with the move. Noah and Courtney have been together for several years, but because we all live in different states, I had never met Courtney’s mom. I’m so glad we could be in Chicago at the same time! Courtney’s mom greeted me with a bag filled with treats from Michigan (their home state). The gift was such a kind and thoughtful gesture. So, though cherries are not a fall fruit, I used my Michigan cherry preserves to bake a little extra love into these Apple Cherry Jam Cookies which will get mailed in a care package back to Chicago this week! 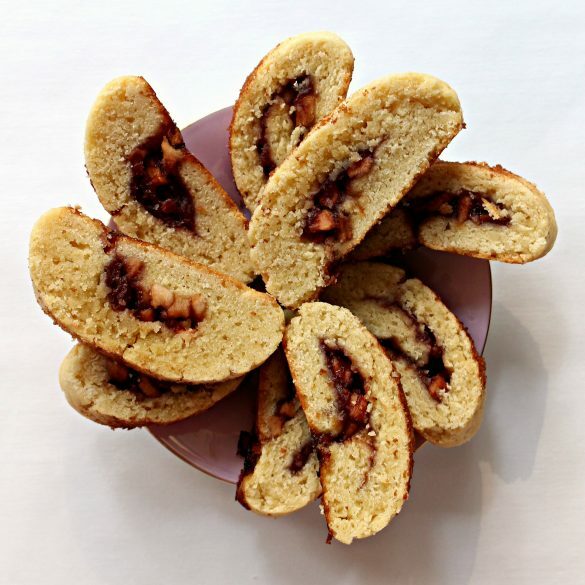 Apple Cherry Jam Cookies are baked in 4 logs of rolled up dough and jam, then sliced into cookies after baking. Each section of dough is first rolled out into a ¼” thick rectangle between two sheets of wax paper. The jam is spread and the apple bits are sprinkled along with some cinnamon sugar. 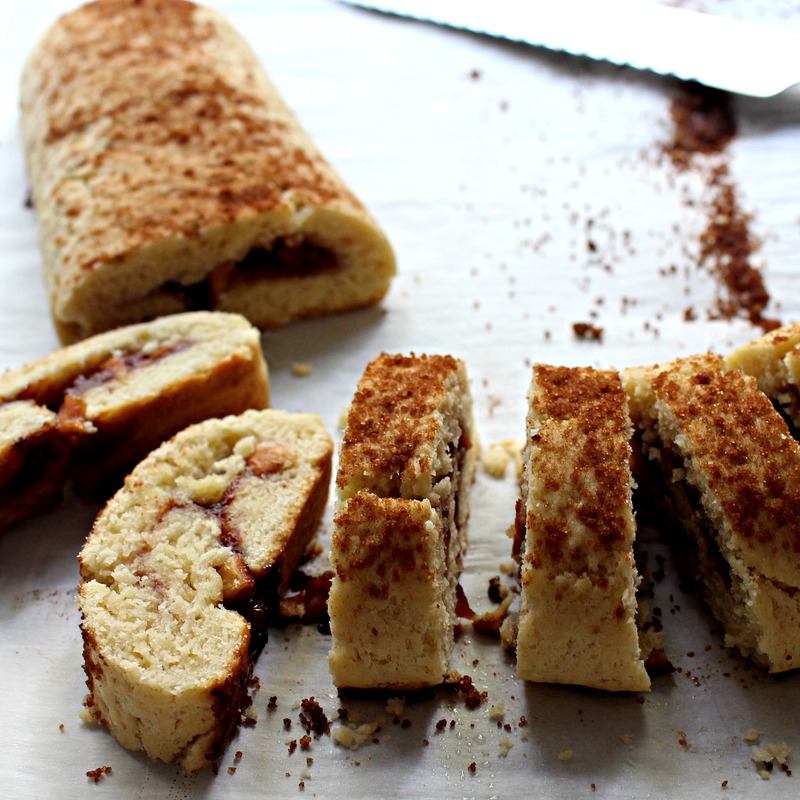 Then the dough is rolled up into a log, hiding the fruity filling inside. 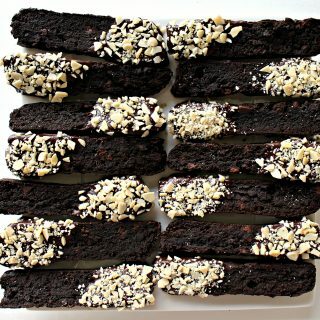 After baking and cooling, the logs are sliced into cookies. 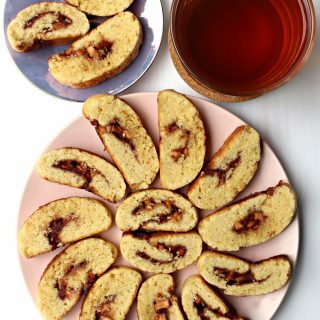 The dough is lightly sweet and tender with a ribbon of apples and cherry jam at the center. Why are Apple Cherry Jam Cookies special? 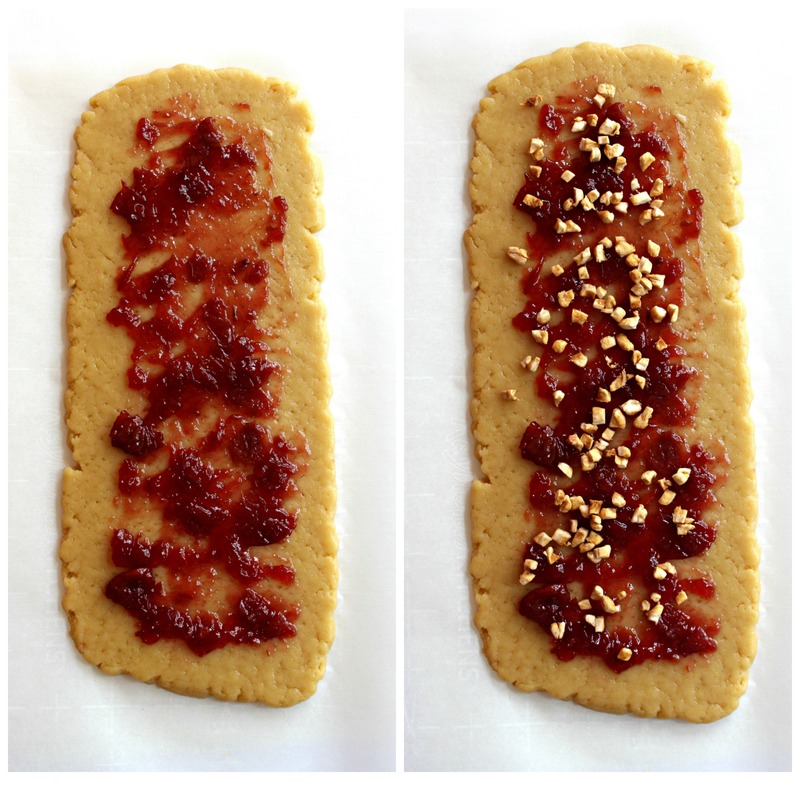 Apple Cherry Jam Cookies are made with two types of high quality Imperial Sugar; granulated sugar in the dough and light brown sugar in the topping. Imperial Sugar has been a trusted brand across the South for 175 years, included in family recipes for generations. For Apple Cherry Jam Cookies, I supplied the love and Imperial supplied the sweetness. This is a versatile recipe with a lot of possibilities for customizing the filling. It’s even possible to make each of the dough logs with a different filling! Try different types of dried fruit, but always dice finely to allow the dough to be sliced without falling apart. Fresh chopped apple can be used, but is not recommended for care packages. The shelf life will be shorter due to the extra moisture in fresh fruit (about 2-3 days). Add nuts and/or baking chips (chocolate, caramel, butterscotch, peanut butter). Apple Cherry Jam Cookies is my second #AppleWeek recipe. Be sure to take a look at Apple Raisin Oatmeal Cookies too! Then, don’t miss the rest of the 200 apple recipes being shared by all of the #AppleWeek bloggers! A list of all of today’s recipes are below. In a mixing bowl, whisk to combine the flour and baking powder. Set aside. In the bowl of an electric mixer, cream the shortening and sugar until light and creamy, about 3 minutes. Gradually, add the flour mixture, mixing on low speed until the dough is shiny. Divide the dough into fourths. Working with one fourth of the dough at a time, roll out the dough between two sheets of wax/parchment paper into a 1/4" thick rectangle, about 11” x 5”. 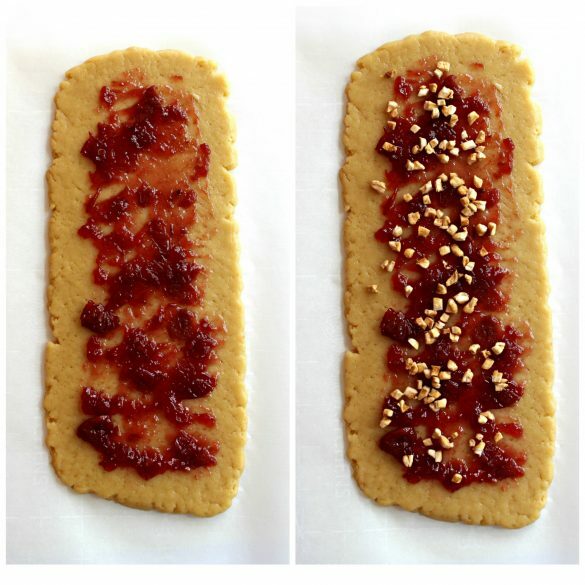 Spread 2 tablespoons of jam on the rolled out dough leaving a 1/2" border uncovered around 3 of the edges of the rectangle, and 1” border on one of the long sides. Sprinkle 1-2 tablespoons of the chopped apples over the jam, then sprinkle some of the cinnamon sugar mixture over the apples. 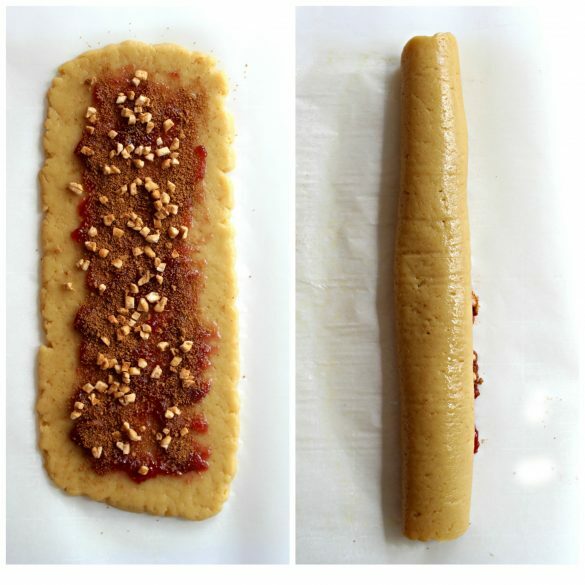 Roll up the dough tightly, starting at the long side with jam close to the edge and rolling toward the long side with a 1” border of dough, to form a log shape. Pinch the ends of the log to seal. Place the log, seam side down, on the prepared baking sheet. Repeat with the remaining fourths of dough, placing the dough logs about 3 inches apart on the baking sheet. Sprinkle remaining cinnamon sugar on top of the dough logs. Bake for 15 minutes, or until light golden brown. Remove from the oven and cool on the baking sheet for 30 minutes. Using a serrated knife, cut each roll into 1/2" thick slices. 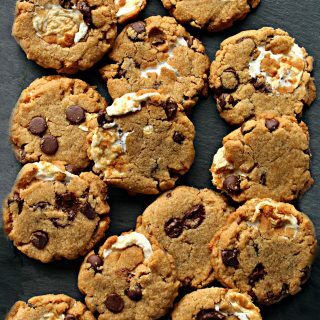 Allow the cookies to cool completely before storing for up to 7 days in an airtight container at room temperature with wax paper between layers. Stack in a pile of 4-6 cookies and wrap securely in plastic wrap. Place the wrapped bundles in columns in a freezer weight zip lock bag or plastic storage container. 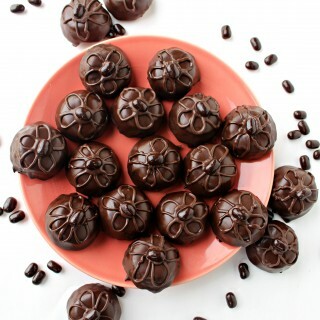 Due to the moisture from the jam centers, these cookies get softer over time and more fragile. Be sure the wrapped cookies are well cushioned in the shipping box and that there is no movement within the box. How sweet that she greeted you with treats from Michigan and doubly sweet that you made treats to send back to Chicago. Also I love that you supplied the love and Imperial supplied the sweet. You are just too darling and I am smitten with everything about this! These look almost too good to be true! Thanks for showing on Friday Frenzy! 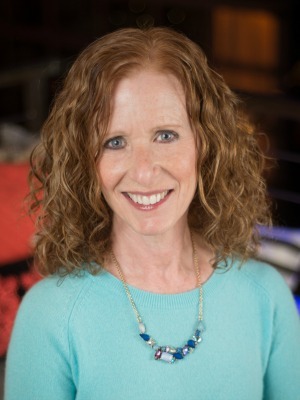 Thanks, Colleen! I plan to try these with a variety of jams and fruit combos. Cranberry for Thanksgiving, perhaps? 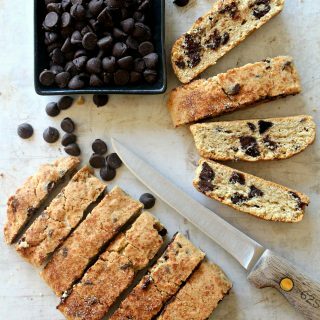 These cookies look fabulous, and I can’t wait to try them! 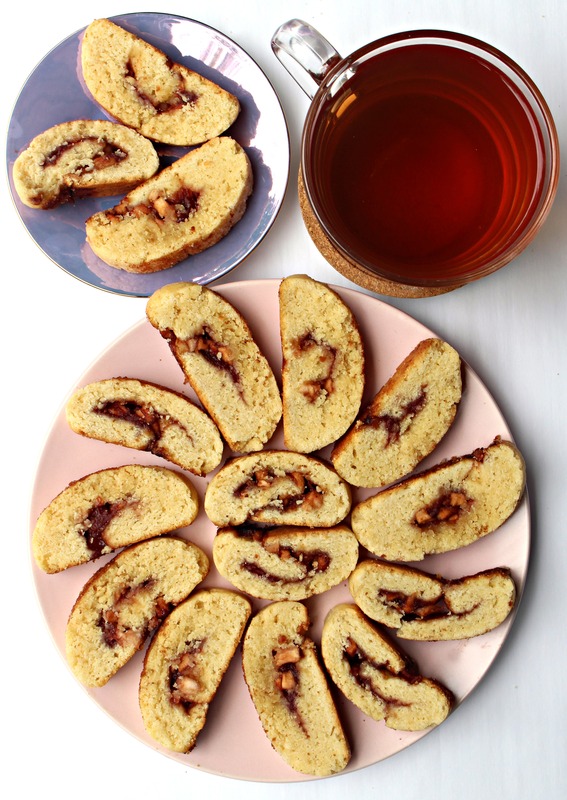 Thanks so much for sharing the recipe and the story! I am subscribing to your blog, I could spend many hours here! Hi, Joansy! Thank you so much for your very kind words! Thanks for subscribing! I hope you WILL spend many hours here. 🙂 These really did turn out to be such a tender and delicious cookie. Just the thing to enjoy with a cup of tea (or coffee) ! I just bought a bunch of apples – some really tasty ideas here. 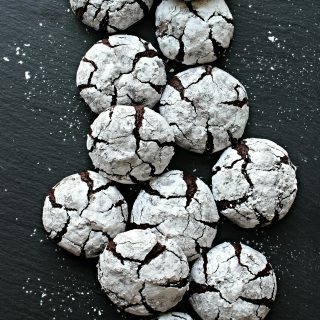 And these cookies!! 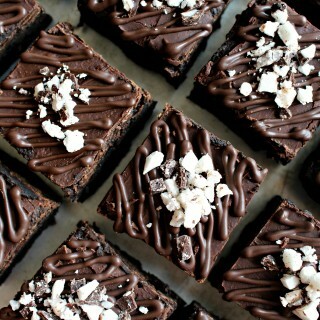 Oh just yum! I’d be honored if you shared this at our What’s for Dinner party. So glad you joined the party! Hope to see you next week too! These look like a very special cookie with that filling! Thanks so much for sharing your post with us at Full Plate Thursday, we have really enjoyed it. Hope you have a great day and come back soon! Thanks, Miz Helen! These turned out looking fancy but are simple to make! I love that you can change the filling to suit your mood! Thanks, as always for your kind comments and for hosting Full Plate Thursday!